Reserve your room at our Anaheim hotel near Disneyland® today. As a Disneyland® Good Neighbor, we're here to help you make the most of your visit to this vacation hotspot. Become a Park Vue Inn insider and be the first to hear about exclusive Disneyland® hotel deals, contests, and special offers. Complimentary breakfast, on-site parking, Wi-Fi, heated pool & spa, and a terrace for watching fireworks. 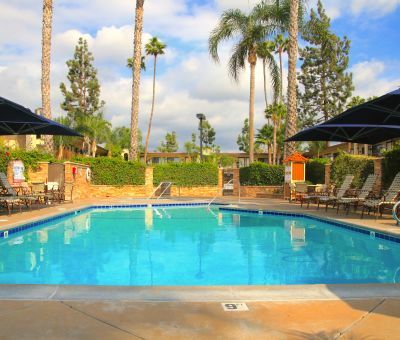 Located just minutes away from major Anaheim attractions. 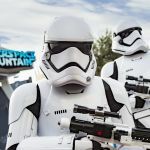 Save big on theme park tickets! Offering direct access to Disneyland®Resort and a variety of premier amenities like hot breakfast, high speed Wi-Fi, and modern rooms with enough space for the whole family, Park Vue Inn is a preferred choice in Anaheim, California hotels. We understand that when it comes to family vacations, location is everything, and we are delighted to be a Disneyland® Resort Good Neighbor Hotel. 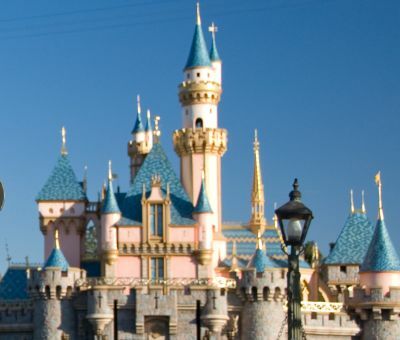 Not only will you enjoy direct access to the Happiest Place on Earth, but we are also within walking distance of Disney California Adventure® Resort and not far from other Orange County hot spots like the Anaheim Convention Center, Honda Center, and Angel Stadium. Explore more nearby attractions here. Whether you are here on a family vacation, nearby convention or business trip, Park Vue Inn offers a collection of well-appointed rooms with convenient amenities to suit every type of traveler. Enjoy kitchenettes in Queen Suites, access to our heated swimming pool and spa, and use of our exercise facilities. Watch the sky light up from our patio when the Disney® Fireworks Show commences every night while enjoying a treat from our on-site Cold Stone Creamery. Reserve your room at our Anaheim hotel near Disneyland® Resort today. We look forward to sharing your adventure with you. 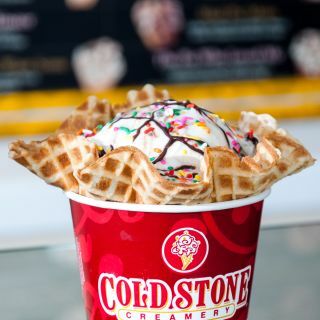 Enjoy 10% off your favorite frozen treat at Cold Stone Creamery! 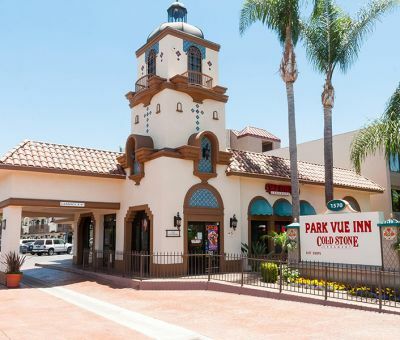 Park Vue Inn offers a wide selection of ultra-comfortable rooms in Anaheim, CA, featuring free Wi-Fi, flat panel HDTVs with over 50 premium channels, refrigerators, microwaves and hot breakfast included daily. 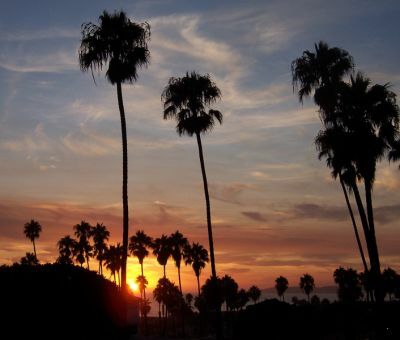 Browse our Anaheim accommodations and choose the room that suits you best. 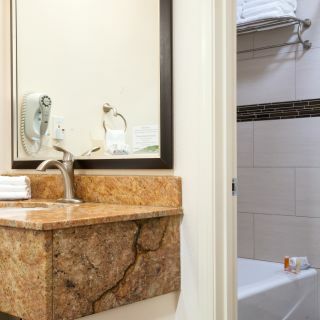 Browse Park Vue Inn's selection of spacious Anaheim hotel suites, with such features as kitchens, sofa beds and soothing Jacuzzi tubs. When looking for family suites near Disneyland, consider our resort-style rooms with such offerings as bunk beds (a big hit with kids! ), and accompanying features like hot breakfast daily, free Wi-Fi, premium cable and easy access to theme parks just outside your door. This spacious Anaheim hotel room features two queen beds, a refrigerator, microwave, safe, flat panel HDTV with premium cable, and free Wi-Fi. A great choice for families, this room offers a plush queen bed and bunk bed that kids will love. Relax and recharge in this Deluxe King room featuring an in-room Jacuzzi tub. 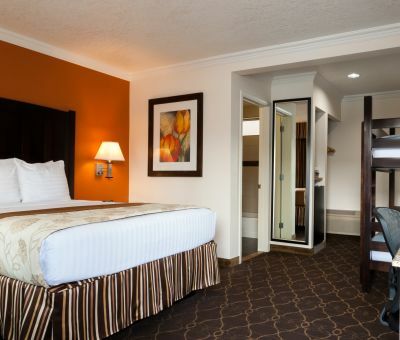 Stay in a well-appointed Anaheim, CA room with two queen beds, a bunk bed, and free Wi-Fi. Our Triple Queen room features enough space for the whole family in a connecting room. Our Mini Suite in Anaheim, CA offers two queen beds, a sofa sleeper, and a kitchenette. 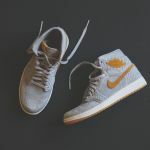 Join thousand of shoe fanatics at Sneaker-Con at the Anaheim Convention Center! 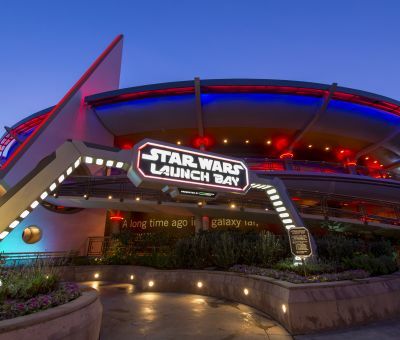 Be one of the first to experience Star Wars: Galaxy's Edge at Disneyland® Resort! 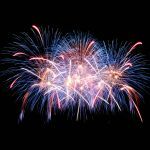 Celebrate Independence Day with a fireworks show at Disneyland® Resort!